Lucid Meetings is pleased to announce the latest in a series of meeting templates that enable remote teams to conduct strategic planning online. The strategic planning templates for remote teams are the most comprehensive set of templates we have developed to date. If your team has not gone through this process, I suggest you start now. Working together with Anna O’Byrne of Upstream meetings, Lucid Meetings has solved the dilemma of expensive, face to face business planning retreats by building a set of five meeting templates that allow any team to conduct their strategic process online. The Complete Toolkit includes meeting templates for creating a company’s Vision, Mission, Values, Goals, and Strategies. Strategic planning is no longer limited to large companies or in-person meetings. Planning with a remote team takes less time than an all-day workshop. When planning remotely, the sessions are spread out with time to think in between, so participants have the ability to think through their contributions ahead of time and reflect on past sessions before taking the next step in the strategic planning process. Lucid has pulled together the best practices for both strategic planning and remote teams to deliver the ultimate templates for remote team strategic planning. These templates keep teams from worrying about the process - allowing them to focus on decision making and action instead. 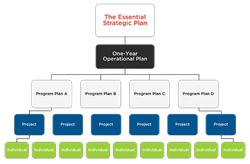 This unique approach to strategic planning allows executive teams to save the time and energy invested in organizing costly annual corporate retreats. Because business owners cannot always take time out of their busy schedules to plan face to face, remote strategic planning can be a creative solution. The Lucid Meetings strategic planning templates automate much of the decision making process for startups, small companies, and large established companies by allowing key personnel to come together online and make the decisions necessary to move the business forward. Visit http://www.lucidmeetings.com/templates/complete-toolkit-strategic-planning-remote-teams to learn more and download immediately usable templates or sign up for a Lucid Meetings trial to start using the integrated templates today.